Background noise is up to 10dB lower. 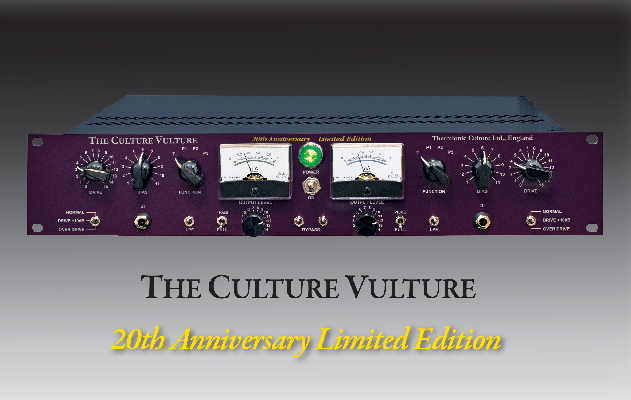 Our Special Anniversary Edition of the Culture Vulture has been designed to have the same characteristics as the original, by using the same “enhancer” (or distortion) valves and the same output valve. The difference is in the Mullard M8100 input valves, replacing EF86. These give more gain with less noise, and improved frequency response. The 6AS6 “enhancer” valves are also Mullard and the output remains Philips 5963. All the valves are therefore expected to be extra reliable. 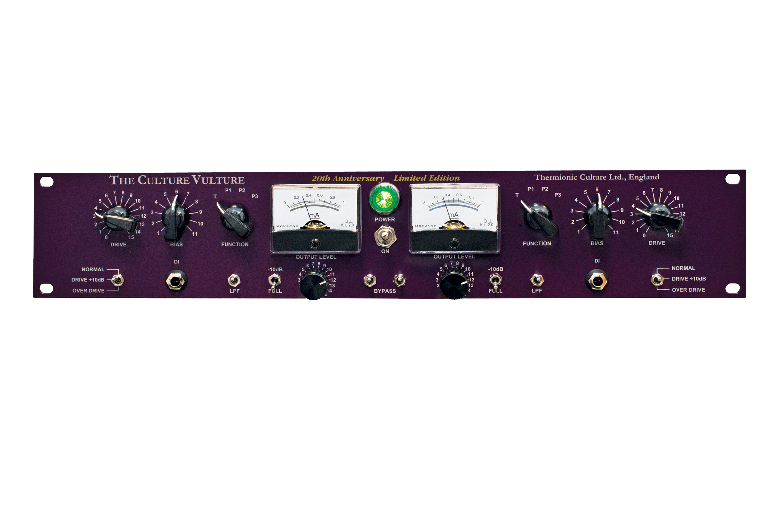 Great care is taken to match the 2 channels for stereo use and a test report supplied with each unit shows the recommended settings of Bias and Output Levels for low distortion if mastering in the Triode mode, where just a little “warmth” is desired. The Drive and Output Level controls are indented for easy recall. The Drive switch has a mid-way +10 dB position, and there is a -10 dB switch to cut the output down. Useful for comparison or just increase/reduce levels. In addition to the normal T & P (Triode & Pentode) modes the Function switch has effects positions P2 & P3. P2 will be clean until a certain peak when over-compression crashes in. P3 is the original P2, famous for frequency doubling and extreme distortion. Yes, despite its more refined appearance this Culture Vulture will still give many types of valve distortion up to nearly 100%! 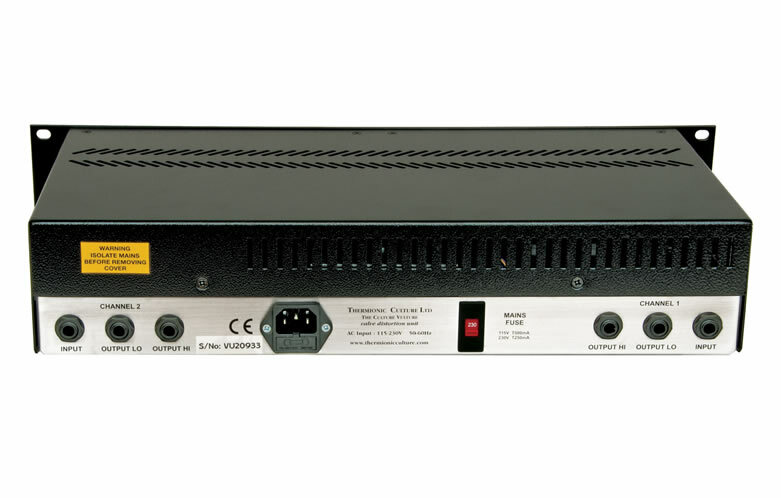 Line inputs and outputs are balanced by Sowter transformers. DI and low outputs are unbalanced. All connections use gold plated jacks. A signed certificate comes with each unit.